On a Sunday night a got a mail that asked me to do a presentation tomorrow. New client. Want to put best foot forward. :) So I threw one together and here's the run down of it. Thinking of recording it and put it up somewhere too.Lean Coffee is a way to hold meetings and gathering that allows for free discussions while still keeping some structure to it. It resembles Open Space Technology but is much easier to set up and run, and often run in small groups. Even thought the concept is called Lean Coffee is suitable for discussing most any subject and topics.Lean Coffee started in Seattle in 2009. Jim Benson and Jeremy Lightsmith first Lean Coffee group has inspired a lot of others around the globe. I've taken part in the one in Stockholm LeanKaffeSump quite a few time, but have also run them as corporate internal event, as well as for meetings of all sorts. On a Sunday night a got a mail that asked me to do a presentation tomorrow. New client. Want to put best foot forward. :) So I threw one together and here's the run down of it. Thinking of recording it and put it up somewhere too. Lean Coffee is a way to hold meetings and gathering that allows for free discussions while still keeping some structure to it. It resembles Open Space Technology but is much easier to set up and run, and often run in small groups. Even thought the concept is called Lean Coffee is suitable for discussing most any subject and topics. Lean Coffee started in Seattle in 2009. Jim Benson and Jeremy Lightsmith first Lean Coffee group has inspired a lot of others around the globe. I've taken part in the one in Stockholm LeanKaffeSump quite a few time, but have also run them as corporate internal event, as well as for meetings of all sorts. It doesn't take much to run on. 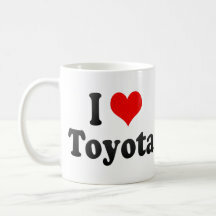 If you have coffee and a couple of Toyota mugs your halfway there. Just kidding, of course, but here is a simple recipe on how I usually run, and have seen them run. Variants are abundant and you should change it to suit your particular situation. Invite everybody to write notes with suggestions for topics. They can be around a theme or freely suggested. You can suggest anything; things you know, things you don't know, things you know people love to talk about or things that would cause a stir. The only thing that you agree on doing by writing a note is to introduce the topic, maybe with a simple question that you are thinking about. To get an order of your topics, your agenda if you will, vote among the suggested topics. We usually do this by Dot voting on the subjects we like. That's just giving everybody three dots to distribute freely among the suggested topics. Got a tip from my friend Joakim on how to decide the number of dots/votes per person. The number of stickies divided by 3. 12 stickies / 3 = 4 votes per person. 2 stickies / 3 = ah, well 1 vote per person then. When you have an initial order of your topics - start to talk about the first one. This will be the one that most people in the group wanted to talk about so you will probably have an interesting first topic. Use a time box for your discussions to keep them focused and not dragging on for ever. We usually start a timer, for example, on 10 minutes. When the time is up we vote (thumbs up/down or sideways if your indifferent to the decision) if we shall continue to talk about the subject, or go on to the next one on the agenda. Sometimes it's worth documenting your discussions. We usually let one person to this as a mind map. We go one for as long as we find it interesting. The slogan for Lean Kaffe Sump is: Come when you can, go when you must. I have had great use for the Lean Coffee concept, and used it in a lot of different situations. I hope you found this introduction useful and that you will start use it to. Good luck - happy coffee-ing.